Behind-the-scenes of the dinosaur blockbuster, featuring interviews with the cast, crew and special effects designers. A behind-the-scenes look at one of the most amazing motion pictures of all time. 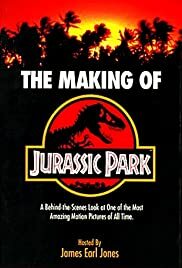 Jurassic Park was an event movie which managed to completely change the landscape of Hollywood filmmaking and this is a great behind the scenes look at the making of that landmark film. Everything from Crighton's inception of the idea to the pre-production dilemmas to the actual production is laid bare here and there are some stunning footage. Spielberg's enthusiasm and passion is there for all to see. The works of Stan Winston and his studio in creating animatronics of the giant reptiles is nothing short of magic. If you are a film student or just plain fascinated by the workings of this film then this is a great documentary to see.